Did you ever have one of those "just wondering" moments? Me, too. I had one today that I'll share with you. 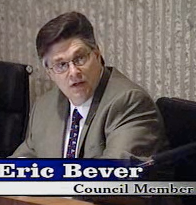 Today I was wondering what Costa Mesa councilman Eric Bever was doing on the dais during the deliberations of the purchase of the Orange County Fair and Events Center last Tuesday night? 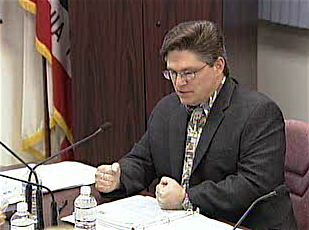 You may recall that, in one of his typical infantile fits of pique, on April 23, 2010 he authored an "Open Letter" to his peers on the City Council with copies to the Daily Pilot and the City Manager stating unequivocally that he was withdrawing his "support for continuing on the current path with the State of California." In his letter he whined about the short time-frame the State imposed on the City - his word was "excruciatingly short" to describe the time alloted by the State. He went on, blah, blah, blah, and ended by stating, "Last Tuesday I reluctantly agreed to support this process however, given the new timeframe we are new expected to meet in naming a "partner", I cannot in good conscience continue to support this process." If you really want to, you can read the whole pathetic letter HERE. OK, Eric - we get it. You don't want to be a party to a process you feel may fail. You clearly didn't respect the hard work and long hours being performed by the Costa Mesa team in an attempt to make this process work. You felt so strongly about it that you just had to jump up on your soapbox and tell the world you were bailing out of the proceedings instead of simply expressing your concerns privately to the council. Nah, you had to go with the grandstanding approach instead. We know you can't help yourself - it's a character flaw that you just can't control. SO, WHY WERE YOU THERE? So, wha t the heck were you doing taking up oxygen on the dais last Tuesday night? Why didn't you just excuse yourself when the item came up at the end of the meeting and head home for an early night's sleep? You certainly didn't contribute anything of consequence and, quite honestly, having you out of the loop would have been wonderful as things turned out. The vote to place the "new sets of eyes" - including Righeimer - onto the negotiating team would have failed without your vote. Thanks for nothing! I guess it takes more character than you have to stand by your opinion. But, then, that's really too much to expect from you, isn't it? What a hypocrite!